Fans cheer Team USA at a World Cup preparation match in May. The World Cup is just days away, and Americans have finally caught the fever. The United States is the second-largest market for tickets to the upcoming soccer tournament in Brazil, according to data from viagogo, the global market for ticket resales. That's a major shift from four years ago, when the World Cup was held in South Africa. Then, the United States didn't even rank among the top 10 countries buying tickets, says Oliver Wheeler, a spokesman for viagogo. "This reflects the growing popularity of soccer in the U.S. and the close proximity of this year's World Cup," says Wheeler. The ranking is based on World Cup ticket sales on viagogo, which is often described as the global version of StubHub. 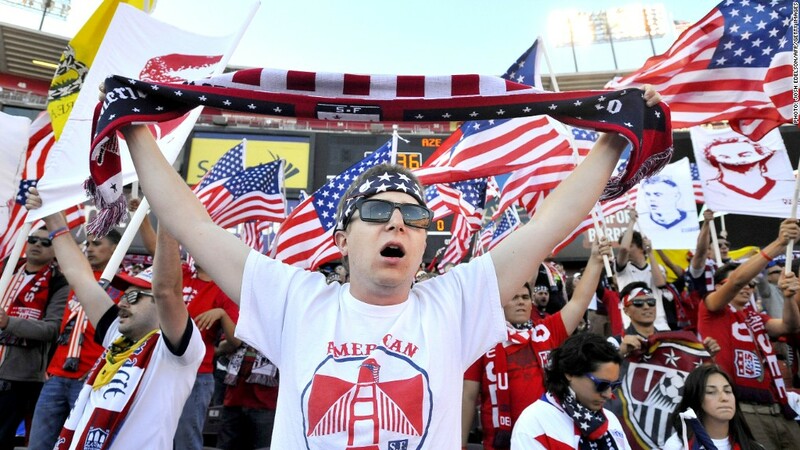 Demand from U.S. fans has intensified as the World Cup approaches. The month-long tournament of 64 matches begins June 12. There was a big spike in demand for tickets to see Team USA compete after news broke that Landon Donovan, America's top scorer, would not be playing. Searches for tickets to games in which the U.S. team is set to play jumped 230% after the news broke last month, says Wheeler. While U.S. team is not expected to make it very far, nearly 4.3 million Americans have searched for World Cup tickets as of this week. In terms of sales, Americans have outpaced several countries where football -- as it's known in most places -- is by far the most popular sport, including Argentina, Mexico, Portugal, France and Italy. Chile is the only market that currently tops the United States. Spain, which won the World Cup in 2010, is the third largest buyer of World Cup tickets on viagogo. Viagogo would not disclose its exact sales figures for the top 10 markets, but Wheeler said the average price paid by U.S. consumers is approaching $3,000. Prices vary widely depending on the teams and stadium location. Games will be played in 12 cities across Brazil. Tickets to the final match in Rio de Janeiro start at just under $5,000 and run upwards of $20,000. These tickets have a face value, or the price paid at the box office, of between $440 and $990. Yet bargains can still be had for fans willing to venture deep into the Amazon. 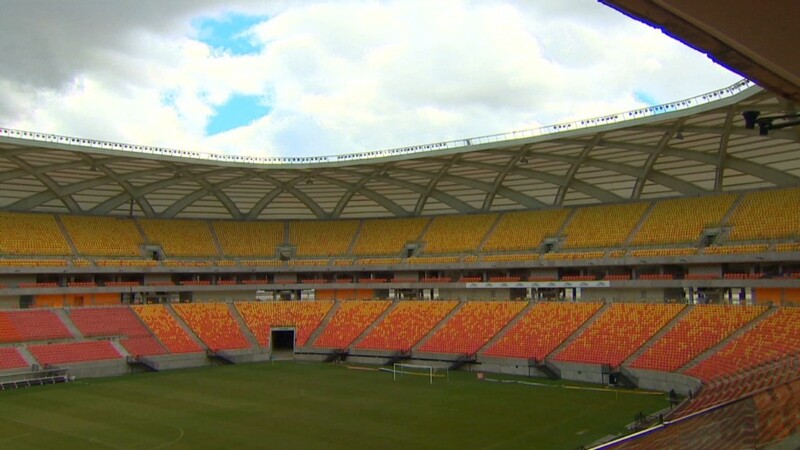 Some of the best deals are for games to be played at the Arena da Amazonia in the remote city of Manaus, where stadium construction has been delayed because of flooding. Tickets to see Honduras play Switzerland in Manaus are currently selling for $20. The bulk of World Cup tickets were "allocated" by FIFA, the group that governs international soccer, in two phases. The group said that Brazilians scooped up most of the 1.6 million tickets that were released as of April. A limited number of tickets are still being sold over the counter at certain locations, including airports, in Brazil. On Wednesday, another 180,000 tickets will go on sale on FIFA's website.